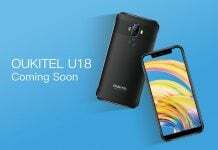 OUKITEL will be soon announcing a new smartphone. This new phone that is called OUKITEL K3 will be quite different from all the smartphones that the company has released so far. 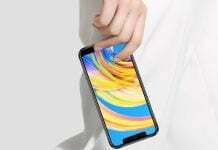 First of all, the very look at the phone would be able to impress the users as the smartphone is expected to boast curved design at the front and rear. Also, it features a CNC polished metallic frame. 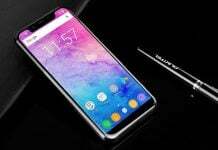 The OUKITEL K3 will be arriving with a full HD LCD screen of 5.5 inches. The LCD display will be provided by Sharp and it will be featuring Asahi glass touch screen. Apart from the amazing design and display, the smartphone would be also equipped with four cameras. The front side of the OUKITEL K3 would be featuring a 13-megapixel and a 2-megapixel duo-cam setup. It would be also coming with a 13-megapixel and a 2-megapixel dual camera system. The 13-megapixel front and rear sensors are both interpolated to 16-megapixel for impressive photo shooting experience. The dual camera sensors on both sides of the phones allow SLR photography experience. 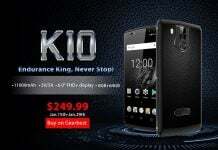 The K series smartphones from the Chinese manufacturer are fitted with huge batteries. 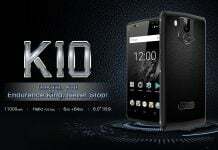 Since the OUKITEL K3 also belongs to the same series, it would be equipped with the massive battery. The OUKITEL K3 will not only impress the OUKITEL fans with its powerful features but also it will stun them with its amazing appearance. OUKITEL is running a new activity on its official website to predict the battery capacity of the OUKITEL K3. 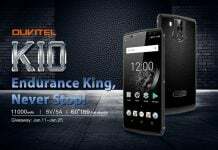 The company is inviting all OUKITEL fans to join them in the activity.